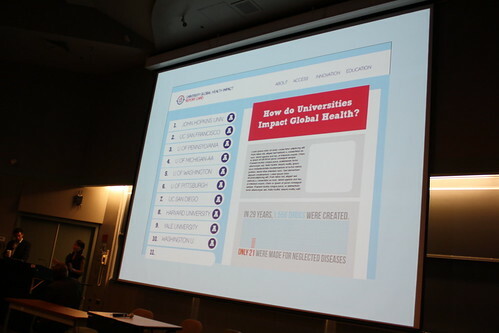 Last weekend I conducted a training on Press Outreach and an introduction to the Principles of Advocacy at the annual conference ofÂ Universities Allied for Essential Medicines (UAEM) an international student organization dedicated to ensuring that medical innovations developed in university labs are accessible to patients in developing countries. 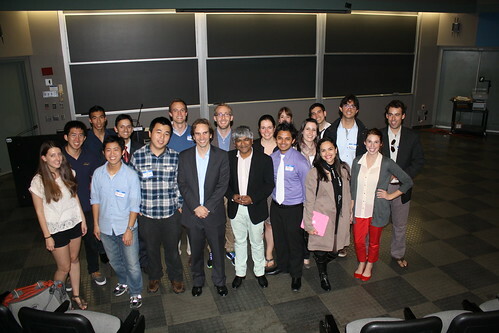 UAEM Coordinating Committee members pose for a picture with keynote speaker Unni Karunakara, International President of Doctors Without Borders. 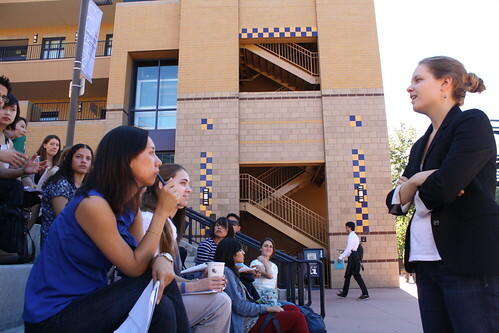 Doing my press outreach session in the glorious California Sunshine (the conference was at the University of Irvine). Parsons Fellow Jen Matsumoto presents the campaign website she designed. 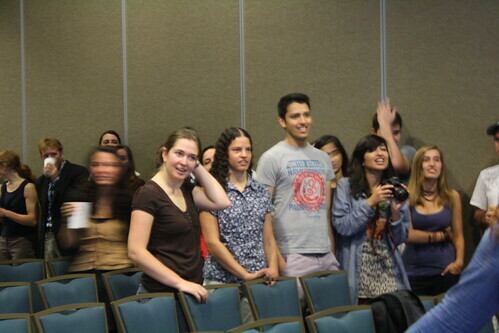 Students participate in a “spectrogram” activity at the beginning of the advocacy session. They were smart, committed, and global – a really special group.